It is not uncommon to find work injury cases in working environments that are not accident-proof. It is demanded that the employer manages the workplace, ensuring that it is danger-free while investing also in training the employees in order to keep them safe. In cases where an injury is incurred by an employee from the workplace, it is the responsibility of the employer to compensate the employee for the losses that may be had as a result. While in negotiation with your employer, it is important to hire the service of an attorney in order for your best interest to be protected. It will be his duty to make sure that for everything stipulated for your welfare at the workplace, is completely met. It is therefore important to get an excellent lawyer with experience in work injury cases. At Rawa Law Group, we provide the most dedicated attorneys to ensure that your claims are completely met. Our work injury attorneys are revered in San Bernardino and environs for their thorough and personal approach to cases. We will work tirelessly to get all the needed information in order to represent you in the well. Regular consultation sessions set at your convenience will be held with you where you will be given the counsel you need, with no hidden charges attached and until your compensation is paid, you will not have to pay for anything. This is to ensure that you do not incur any expense on your part. 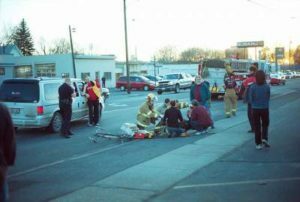 Our dedicated team of dedicated work injury attorneys in San Bernardino has represented so many victims for decades, during that time, ensuring that their claims which all amount to hundreds of millions is met. In the past year, work-related injuries hit their lowest rate in California in over a decade—yet the numbers are still high. There were more than 460,000 reportable workplace illness and injury cases in 2014, half of which led to loss of work time. Construction workers in California are especially susceptible to workplace accidents – 1 out of 10 workers are hurt every year. If you have been injured in a work-related accident in San Bernardino, you may be entitled to several types of benefits, including medical benefits, partial or total disability benefits, and vocational training. California allow for two types of work-related claims: workers’ compensation through an employer’s insurance policy and personal injury claims against third parties whose negligence contributed to an accident. Sometimes these claims overlap. Whether you are the victim of overexertion, falls, impaction, long term repetitive motion injury, toxic substance exposure, defective equipment, or inadequate safety measures, you may be entitled to fair compensation for medical expenses and loss of wages in San Bernardino. The expertise of our work injury attorney in san bernardino will help you. Workers who sustain an injury on the job may be entitled to receive benefits through the California workers’ compensation system. This system entitles workers to three basic benefits: Temporary and permanent disability, as well as payment or reimbursement for medical expenses and healthcare. You are entitled to workers’ compensation benefits regardless of who is at fault for your injury as the workers’ comp program is a no-fault system. 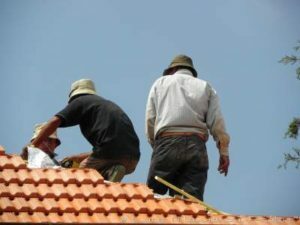 A personal injury claim may be possible along with a workers’ comp claim if a third party like a manufacturer or contractor’s negligence contributed to the accident rather than your employer. You may be entitled to a personal injury claim, in addition to workers compensation, if your injuries were sustained due to another person or entity’s negligence. A personal injury claim may entitle you to fair compensation for medical and healthcare expenses as a result of the injury, lost wages or earning capacity, property damage, and pain and suffering. You may also claim general damages, which are the financial value assigned to discomfort or emotional distress. If an individual was hurt on the job, but the employer was not directly responsible for negligence, you may file both a workers’ compensation claim as well as a personal injury claim. For example, if you were in a car accident was driving for a job, or injured by defective products required by the job but not manufactured directly by the employer, you may file both types of claims. If you or someone you love has been seriously hurt in a work-related accident, an experienced personal injury attorney can help you protect your rights and explore your legal options. Work-related injury cases can be difficult to navigate and insurance companies often deny legitimate claims due to a lack of witnesses and other factors. Contact Rawa Law Group today for a free consultation with a work injury lawyer in San Bernardino to explore your options.